Do you care so much about the plight of farm animals that you can’t wait to do something to help them? Vegan education is the most effective activity you can engage in to save animals. It isn’t accompanied by the huge fanfare and doesn’t give you the immediate validation that petition and welfare campaigns do. However, each time you successfully promote a vegan diet, you are saving the lives of animals! A vegan saves the lives of, on average, 100 land animals a year. So by convincing just 5 people to go vegan this year, you have contributed towards freeing 6,000 farm animals over the next 10 years. Now that is what I call a significantly worthwhile achievement! Go Vegan — A vegan lifestyle is the single most important thing you can do for the environment, animals and yourself. Be a joyous, positive and energetic example of what being vegan is all about and others will be motivated to follow your example. Information Tabling — Vegan education is the most effective thing you can do to save animals now. Arrange to host an information table at holistic lifestyle fairs, ‘varsity food halls, shopping malls, farmers markets, school events, toastmaster groups, networking groups and guest speaker events. Leafletting — If you only have a few minutes available, then simply grab a pile of leaflets and hand them out in shopping malls or at the traffic lights. Give pamphlets and DVD’s to your friends and co-workers. Pin up pamphlets on notice boards. Leave flyers in doctor’s waiting rooms and libraries. Distribute leaflets at concerts and universities. All the pamphlets available at the Elated table can be downloaded and printed from the resources page. Vegan Evening — Invite friends round for a delicious vegan meal – surprise them with the huge variety of tasty vegan foods available. Show them you are not asking them to deprive themselves. Rather good times, scrumptuous meals and satiating, nurturing food is what we have to look forward to in a vegan lifestyle. Vegan Recipes — Are you a creative whizz in the vegan kitchen? 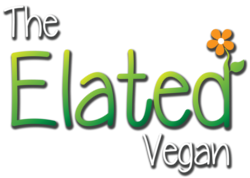 Share your recipes with Elated and motivate other people to start cooking vegan meals for their family and friends. Using your culinary skills is an incredibly effective way of getting people excited about a vegan diet. Each time you buy a product, you finance the process that brought that product to your home. Finance cruelty-free practices with your purchases. Support ethical companies that care about animals and the environment, and are truthful about the health benefits of their products. And these are the products that will soon dominate our stores. When you can’t find what you want, ask for it. Demand creates supply and we, the consumers, create the demand. Use your power wisely. 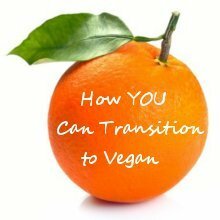 If you can’t find the vegan version of something you are looking for then search for it on their website. Companies use the terms people search for to help them decide what products to produce. So keep on visiting websites and searching for the vegan products you want till they realise how much we want them. Raise Awareness in Your Community — Help to raise the status of animals from property to legal persons. Focus on justice for animals and for legal protection of their basic rights to life, autonomy over their life and bodily integrity. Write letters to the press, the government, farmers, retailers and manufacturers. Call in to radio chat shows. Request television programs that focus on vegan lifestyles and the abolition of animal use. 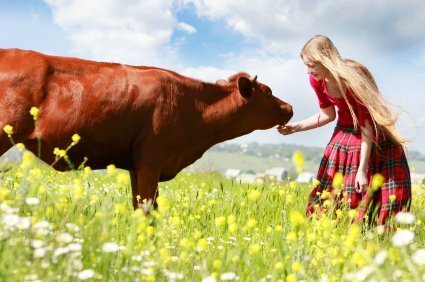 Suggest your school introduces humane education into the curriculum that focuses on animal sentience and truly ethical food choices. Motivate your ‘varsity canteen to add vegan foods to their menus. Host a DVD Evening — Show your friends a DVD that highlights the sentience vs commodity status of animals. Many Vegan video clips can be bought online or downloaded for free. Contact me for copies of vegan movies distributed at Elated’s stand. Farm Sanctuaries — Volunteer at a farm sanctuary. Rescued farm animals need constant care. If you have the facilities, consider adopting a farm animal who needs a loving home. Animal Shelters — Volunteer at your local no-kill animal shelter. Take the dogs for walks. Foster animals if you can. Adopt as many animals as you are able to. Make a point of choosing the least adoptable special someones who will be overlooked by the less-informed public. Petitions — If you want to promote a Petition then promote ‘I am Vegan For Life!’ It is the only Petition that will make a truly meaningful difference for animals. Vegan advocacy is not about winning arguments. It is about creating a paradigm shift in personal consciousness. Honour the person’s right to choose and offer them a safe place in which to achieve their transformation. You cannot persuade someone to your own point of view, you can only plant a seed of compassion and hope that one day it will grow into wondrous, compassionate action. You can change the world one heart at a time. Government legislation merely reflects the will of the people. Power exists in the individual. Engage in non-confrontational discussions. Veganism is compassion in action. That includes people! View every person you meet as a potential vegan ally. Don’t alienate them. Instead treat them with respect and kindness. Be prepared to have your perspective challenged and utilise this process to help you hone your debating skills and understand your own viewpoint better. Be sincere. You don’t have to know every single fact about global warming and animal agriculture. Focus on the liberation from suffering for the animals, and humans, involved in the animal farming and slaughter businesses. Would you would like to support my work at Elated? Please take a look at Elated’s Wish List for suggestions on how you can help achieve Elated’s mission.